Arkadij Naiditsch and Zahar Efimenko will play a chess match 12-18.08.2010 in Mukachevo, Ukraine. The match will consist of six classical games. This is the same format that was used for the previous match of Efimenko against Short. The opening will take place on the 11th of August in the Transcarpathian Regional State Russian Drama Theatre. The match will be accompanied by Open, Rapid, Blitz, children’s Open, a session of simultaneous games tournaments. One of the main events will be the Transkarpathian Cup 2010 (10-18 August 2010), more details at the official site. Arkadij Naiditsch (born 25 October 1985 in Latvia) was awarded his GM title in April 2001. 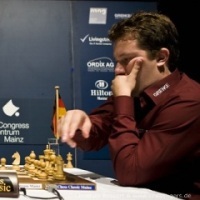 In 2002, he drew an eight-game match with former Candidates’ finalist Jan Timman in Dortmund.Naiditsch was clear winner of the Dortmund Sparkassen 2005 Tournament, ahead of higher-rated and well-known players such as Loek Van Wely, Veselin Topalov, Peter Svidler, Vladimir Kramnik, Michael Adams, and Peter Leko. In 2007, he also won the German national championship based in Ghert. The same year he became champion with Beograd Beopublikum in Serbia. In 2009 he won Montreal International Chess Tournament. In 2010 he finished among the first positions of the Corus B chess tournament. Zahar Efimenko, born July 3, 1985, is grandmaster since 2002. In 1999 Efimenko won in the U-14 World Youth Chess Championship in Oropesa del Mar, Spain. In the same year he was a member of the Ukrainian national youth team, which won the U-16 Chess Olympiad in Artek, Ukraine. 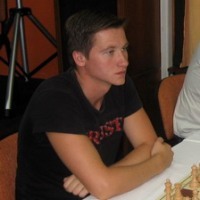 Efimenko has won several chess tournaments since then, among them the 2001 Stork Young Masters in Hengelo, Netherlands. He became champion of Ukraine in 2006. In 2007, he tied for 1st-6th with Vitali Golod, Mateusz Bartel, Yuri Yakovich, Michael Roiz and Mikhail Kobalia in the 16th Monarch Assurance Isle of Man International tournament. In May 2010, he tied for 1st-2nd with Victor Bologan in the 40th Bosna International tournament in Sarajevo.